´Look at the stars, look how they shine for you´. 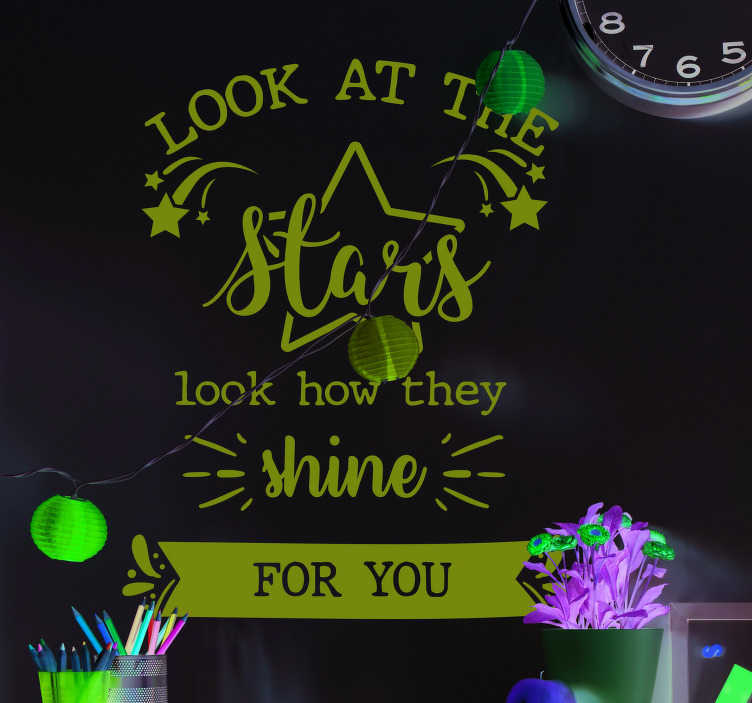 Coldplay have produced some absolutely magnificent songs in their time and perhaps none are more glorious - No lyric, anyway, than the superb one depicted on this fantastic song lyric sticker! Depicts words from the song yellow - One of the most romantic pieces of music in the 21st century. Choose your size and decorate your home with this superb lyric decal right now!